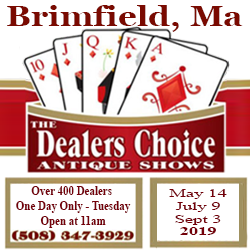 Since 1959, Brimfield, Massachusetts has been the Antique and Collectibles Capital of the United States. 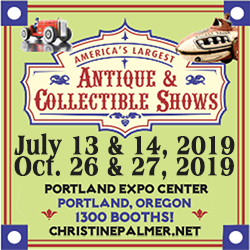 Today, there are 21 independent shows and thousands of dealers. 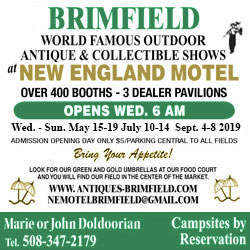 As the premiere hot spot for antiquing and collecting in America, Brimfield attracts people from around the world. 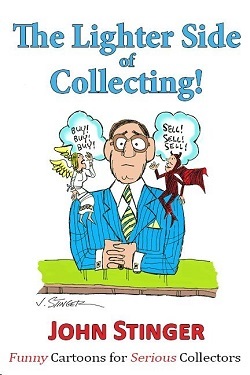 Rare and unusual items can be found as buyers search through history’s great marketplace. 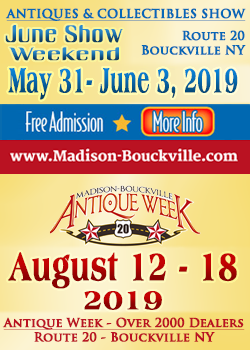 There is excitement among shoppers getting caught up in the spirit of antiquing and the thrill of the hunt. 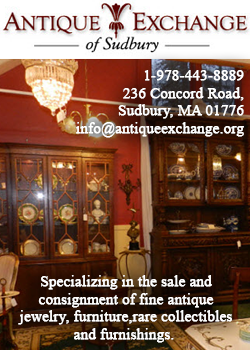 All booths offer a diversified range of antiques and collectibles. 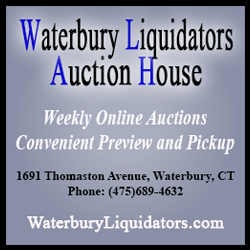 Dealers are knowledgeable about their specialties and eager to share their expertise. 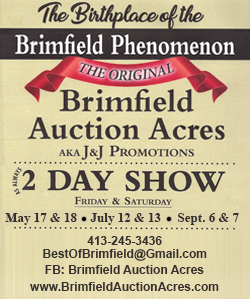 Brimfield is a veritable adventure in history. Expect to see things rarely seen anywhere else in the world. 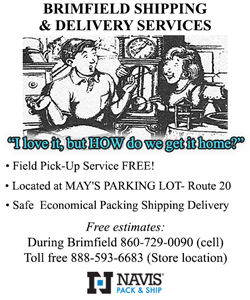 As you may well know, Brimfield Antique Flea Markets happens three times a year: May, July and September. Each event has it’s own individual feel. 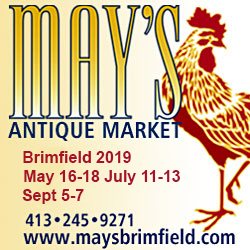 The May Show (May 14-19), is the first show of the Brimfield 2019 season, and is easily the busiest show of the year. 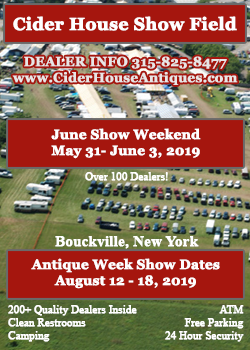 This is the time that you will find the freshest offers and merchandise from dealers in every field and shop. 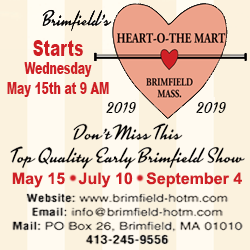 The Brimfield 2019 July show (July 9-14). 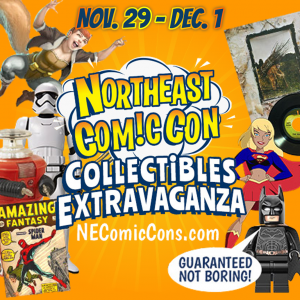 At this time of the summer, you may notice thinner crowds as well as less competition for the rare items available. As one seller experienced, the July heat tends to keep both vendors and buyers at bay. 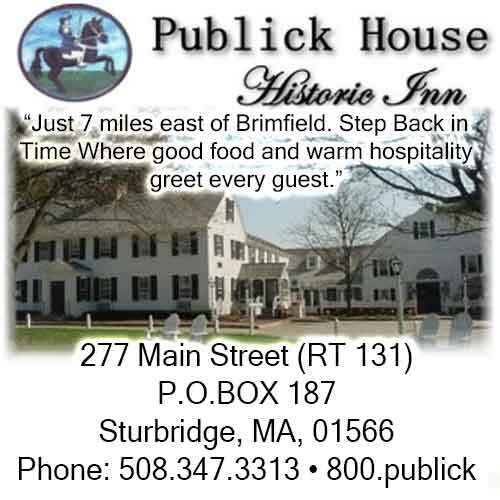 As you can see in the on our site, there are many wonderful restaurants, inns and antique shops that offer an oasis from the summer heat. 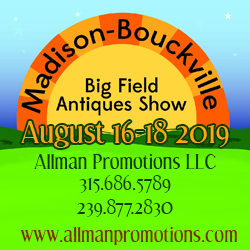 For the September show (September 3-8), you’ll encounter larger crowds once again, as the summer heat has subsided. 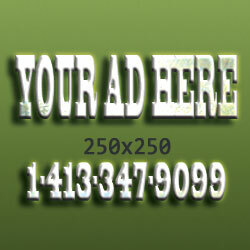 This is the time that you will find many savvy shoppers looking for an end of the season deal.